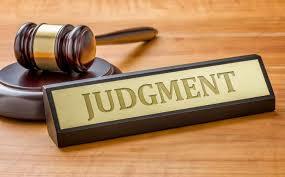 People are often shocked to find out that once they get court issued Judgment, that doesn’t mean they then get paid. What?! Yes – just because the Small Claims Court or the Court of Queen’s Bench has heard your case and decided in your favour, it does not mean that you automatically get the money that Judgment is for. If you went to Small Claims Court as a self-represented litigant, i.e. did not use legal representation, then you likely find yourself in a situation where you will want to be hiring a lawyer now. Like the various considerations you had to make in deciding whether or not to pursue your matter through the legal system, you will now have to put your mind to the considerations that come into play when it comes down to collecting your money. 10 years, subject to a right of renewal, so once issued, the clock starts ticking for you to try to get paid. of assets; and even forcing their attendance to your lawyer’s office to make them testify under oath as to what their asset holdings and financial circumstances are. today’s hectic world, with ever-increasing costs, this less invasive and cooperative measure may be more encouraging and less likely than the Judgment debtor attempting to evade having to pay you. services, you credit bureau credit-ratings, and your ability to secure any needed financing for your business, home, or other personal matters. If you find yourself on the receiving-end of a Judgment holder, it would be wise for you to seek a lawyer’s help as well. Sometimes, our positions will only be as good as we can negotiate, and you’ll never know what that may be, unless you’re willing to try. If you find yourself holding a Judgment against a debtor, having a Judgement issued against you, or run a business and would like to know more, please don’t hesitate to contact our office to arrange for a consultation in order to discuss the particular circumstances of the challenge you’re currently facing. « Previous Post: Get to Know…Grant Driedger!